is a standalone utility used to detect and remove specific viruses. It is not a substitute for full anti-virus protection, but a specialized tool to assist administrators and users when dealing with infected system. Stinger utilizes next-generation scan technology, including rootkit scanning, and scan performance optimizations. It detects and removes threats identified under the "Threat List" option under Advanced menu options in the Stinger application. Microsoft's Malicious Software Removal Tool does a good job of detecting and removing the most common viruses. The Malicious Software Removal Tool works with Windows 7, Vista, XP, and Server 2003. Microsoft releases updates to this tool on the second Tuesday of each month. This tool checks your computer for infection by specific, prevalent malicious software (including Blaster, Sasser, and Mydoom) and helps to remove the infection if it is found. McAfee also provides real-time, hardware enhanced rootkit protection for enterprises. McAfee Deep Defender, unlike traditional security and post infection tools, operates beyond the operating system to provide real-time kernel monitoring to reveal and remove advanced, hidden attacks. detects and removes spyware, a relatively new kind of threat not yet covered by common anti-virus applications. The application checks the Windows registry, running processes, web browser cookies, local files and folders. It uses extensive, regularly updated parasite definitions database, which contains signatures of spyware, adware, keyloggers, trojans, browser hijackers and other malicious programs. Practically every aspect of Spybot-S&D can be customized. 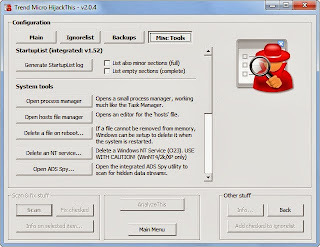 The user can modify various scan and startup specific settings, set the program to ignore certain objects, schedule system scans, apply different skins or languages (Spybot-S&D is translated into 51 languages). The program includes useful additional tools, which prevent browser hijacks, uninstall user-chosen software, unrecoverably delete specified files, display and allow changing system startup settings and other advanced options. Spybot-S&D implements powerful real-time protection that blocks malicious ActiveX scripts and keeps unsolicited software off the system. 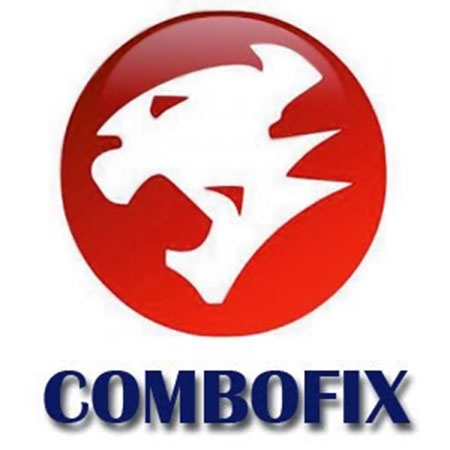 is a freeware (a legitimate spyware remover created by sUBs), Combofix was designed to scan a computer for known malware, spyware (SurfSideKick, QooLogic, and Look2Me as well as any other combination of the mentioned spyware applications) and remove them,ComboFix allows the manual removal of spyware infections , It ‘s a specialized effective cleaning tool, which is useful compared to other malware and spyware removers. is a free utility that generates an in depth report of registry and file settings from your computer. HijackThis makes no separation between safe and unsafe settings in its scan results giving you the ability to selectively remove items from your machine. 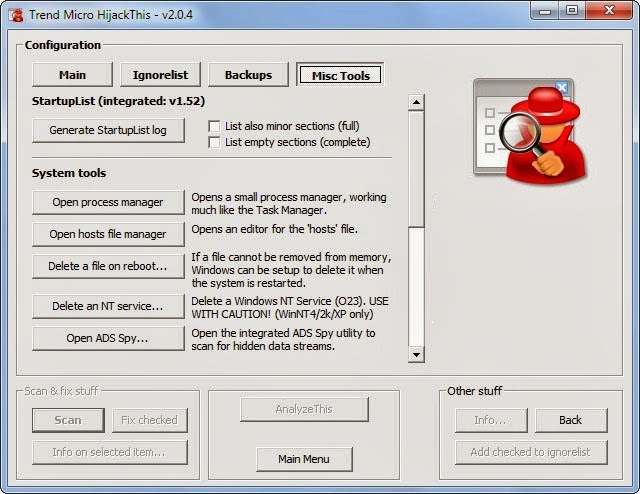 In addition to this scan and remove capability HijackThis comes with several tools useful in manually removing malware from a computer. Source code is available on the SVN server under Code and also as a zip file under Files. McAfee Klez Removal Tool helps you detect and remove any variation of the Klez virus from your computer. Based on the award-winning McAfee® VirusScan® software, the Klez Removal Tool searches for and deletes variants of the Klez virus, including any file infected by the virus payload. McAfee Bugbear Removal Tool helps you detect and remove any variation of the Bugbear virus from your computer. Based on the award-winning McAfee® VirusScan® software, the Bugbear Removal Tool searches for and deletes variants of the Bugbear virus, including any file infected by the virus payload. Trend Micro’s HouseCall has been around for years and has earned an excellent reputation. It’s available in a 32-bit version for XP and in both 32-bit and 64-bit versions for Vista, Win7, and Win8. is another tool with a long pedigree and a well-deserved reputation for excellence. It’s not particularly fast, but it is nicely configurable. For example, the scanner’s Advanced settings let you select which drives to scan — even remote networked drives. It will also scan inside archives (e.g., .zip files), which not all scanners can do. You can select the depth of the scan, such as looking for potentially unwanted and/or unsafe applications. is at the other end of the usability spectrum. It’s a Linux-based tool with a minimalistic, DOS-style text interface (see Figure 6). It’s not point-and-click; you navigate with arrow-key and keystroke entries. 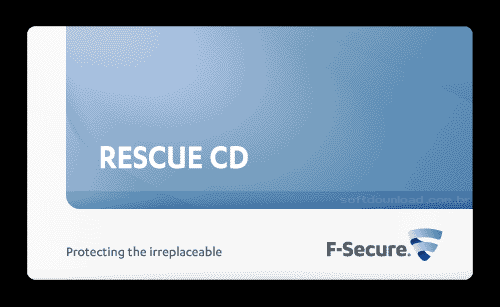 Rescue CD contains Knoppix (a derivative of Linux), an operating system that runs completely from the CD and allows access to your computer's Windows operating system and hard disks.